Manager Steve King opted for a 4-3-3 formation but his team struggled to create many clear cut chances and fell to another defeat on the road. Once again, Welling were hamstrung by injuries and could only name three substitutes. They might have gone behind in the opening minutes but having got in behind Dipo Akinyemi scuffed his shot wide. Then it was Welling’s turn to squander a clear cut chance. Danny Mills put Brendan Kiernan through but Preston Edwards was out quickly to make an excellent save. Thirteen minutes were on the clock when the hosts went ahead. Nathan Green killed Dan Thompson’s through ball before steering beyond Dan Wilks in the Welling goal. Welling had already had four corners by that stage and continued to enjoy the majority of the territorial advantage but failed to cut open the three central defenders, all former Wings. The closest they came was when Gavin McCallum headed over from Craig Braham-Barrett’s cross. Another one time Welling player, Dominic Vose, drove just over after a corner was half cleared just before the interval. Early in the second half Mills had a shot deflected wide by Michael Chambers before Akinyemi connected well with a shot at the other end but fired straight at Wilks who held it well. The big talking point of the match came soon after. Welling substitute Jack Barham was sent clear and Edwards charged out to catch outside the penalty area. Edwards was fortunate to get away with a yellow card and his escape was made complete when the free kick came to nothing. Anthony Cook fired over from a free kick before Wilks made a stunning save. Akinyemi picked up a half clearance and sent a fierce drive towards the top corner but the Welling custodian dived full length to turn it over. Mills nodded on a Jordan Gibbons throw but Barham couldn’t get enough power on his header to concern Edwards. Chambers blocked a Kiernan shot before Edwards had to get back to tip over a Braham-Barrett cross. As Welling searched for an equaliser they left themselves open at the back and the conceded again with four minutes remaining. Michael Onovwigun created the opportunity and fellow substitute Decarrey Sheriff finished. Two minutes later Welling pulled one back when substitute Bradley Goldberg fired a close range shot that Edwards saved but it came out, hit Chambers, and flew into the net. 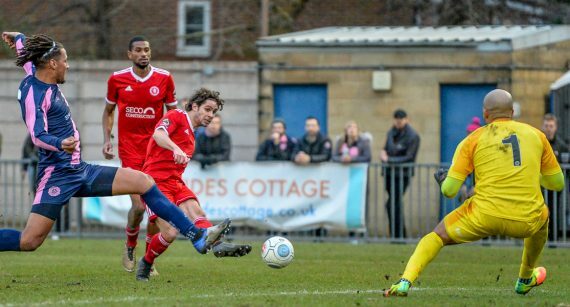 However it made no difference to the outcome as Welling were unable to craft another chance in the additional five minutes. 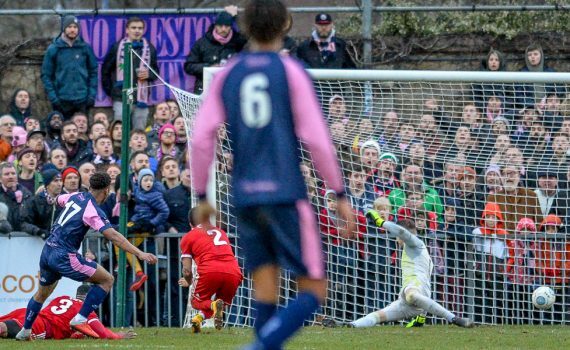 Dulwich Hamlet: Edwards, Cook, Mavila, Taylor, Okuonghae, Chambers, Clunis, Vose (Ferguson 45), Thompson (Onovwigun 85), Akinyemi (Sheriff 80), Green. Subs not used: Essuman, Pryce. 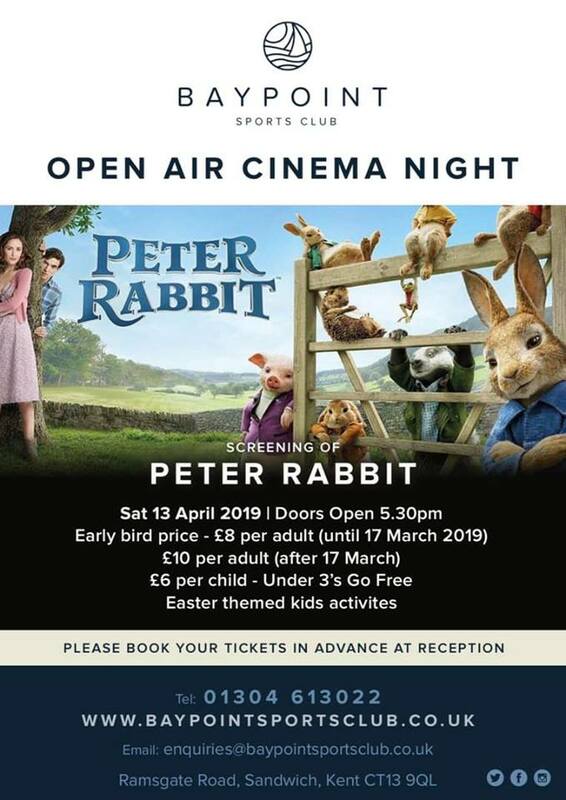 This entry was posted	on Saturday, February 9th, 2019 at 4:52 pm	and is filed under Football, Non-League Football. You can follow any responses to this entry through the RSS 2.0 feed. Both comments and pings are currently closed.